SufF3R here, with a Spring team update. As we’re continuing to ramp up for the year, we’d excited to share with you an update from our dev team and the progress we’ve made in the past few months. 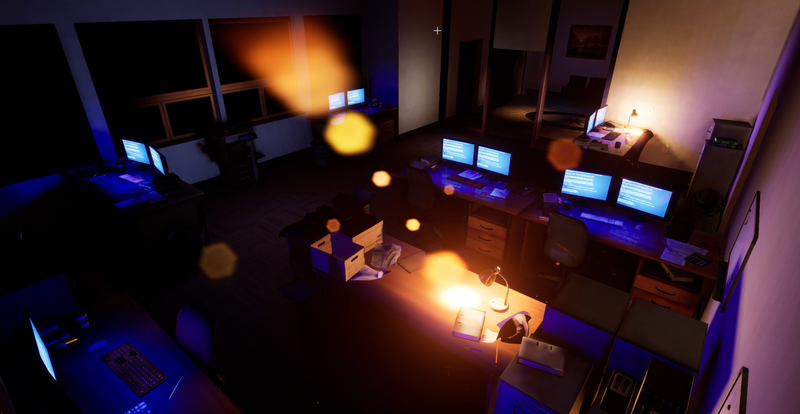 Below we have a few updates, screenshots, animations, and a few tracks to share. Please keep in mind, that what we’re sharing is again, a work-in-progress, so there’s much more refining and smoothing-out to be made. Starting us off, we have MZK sharing his progress of the animated Sako 58. Hey! I’m Parker, one of the animators for No More Room in Hell 2, and I have some animations I wanted to show off. I mainly wanted to show the “unload” and “single cartridge insert” animations, with the Sako 85 being a great example of taking from. Hopefully, these unload animations will immerse the player more than the original system in the Source game, which had no animations whatsoever. That certainly confused me the first time I found the key and found the slide of my handgun instantly locked back, but hopefully, this animation system should make things clearer in the sequel! I’ll see you all soon, with more to show off by then! 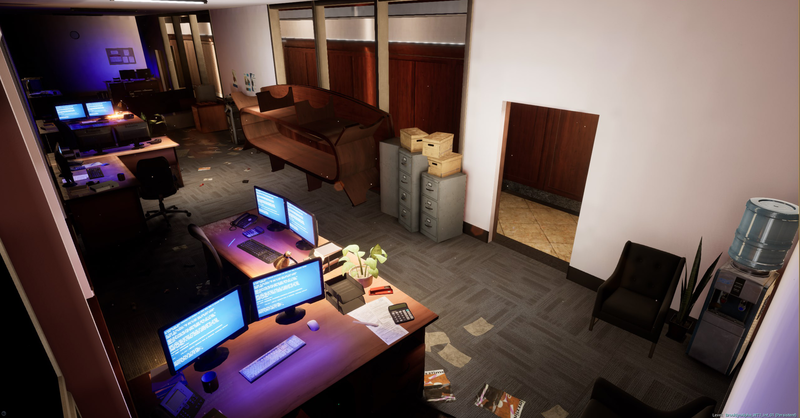 Maxx, sharing some interior shots and development with the Brooklyn Heights map. Maxx here with an update on various art things, in particular, my work on Brooklyn Heights. Last time I did a progress update on here I was working a set of apartment interiors. This time around I’ll be showing a couple of shots of a new office building interior Work in Progress. The lighting here is only for testing purposes and is on low settings. I have been continuing the work of building the pieces necessary to complete these new interiors. The goal as always is to build a space in an efficient manner where I can get the most out of each part I make. In the case of a building like this, I can model things like wall panels, ceiling overhead light boxes, decorative doorways, etc. and reuse them with each subsequent addition to the interior. This cuts down on the manual work I need to do which frees up time used for creating new assets and dressing an area. When an area is “dressed” with props and decals, it’s often done in passes. A pass usually starts with the large pieces like props used for cover, or large pieces of furniture, and it works it’s way down toward small decorative things like a calculator on a desk, a cutting board on a kitchen counter, a calendar on the wall, etc. I can, however, take the props we have and put together ready-made pieces like a desk with a computer, some papers, a telephone, and I can simply drag and drop it wherever I’d like. Often I take an area, and I’ll start to define a couple of rooms with more props to “sell” what the intention is. At a later date, I loop back around to some of these areas and continue that motif with all the new props, textures and decals that I have made to support it. This all starts with me finding some interesting examples of interiors and design styles on Google or in books, and then I see where my creative instincts take me. 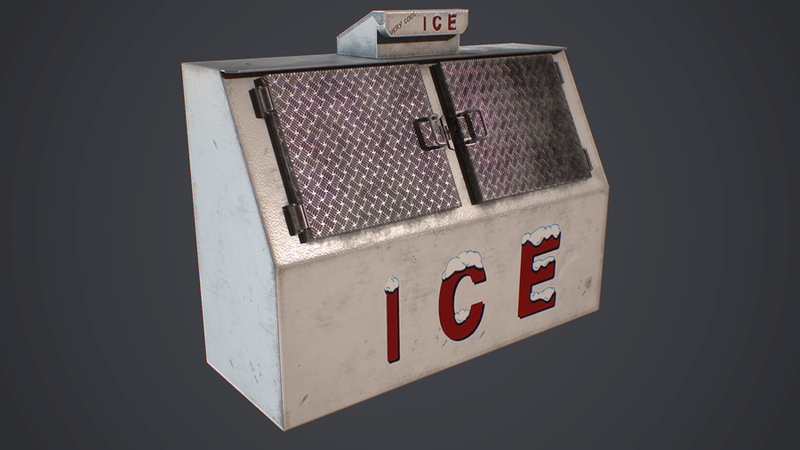 It’s one of the best parts of being an environment artist! 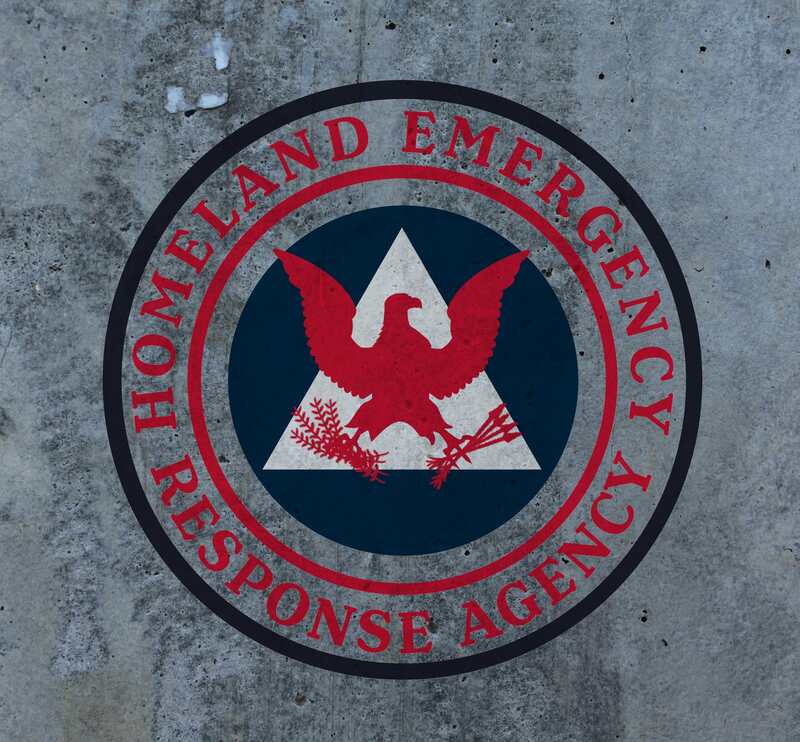 Dman with a logo design for the Homeland Emergency Response Agency (HERA) inspired by the US Department of Homeland Security and Federal Emergency Management Agency (FEMA). David ‘Dman’ here, I wanted to share a little bit of insight into our ‘HERA’ logo you saw on our first story document released a while back. HERA is largely inspired by the real-world homeland security/FEMA logos but also a hint of the old lesser known US Civil Defense insignias from WW2 era. As an agency in our universe, their designs will have a strong color palette with minimalist logos that are sharp and clear, keep an eye out for future story docs and later on in the game! Thought, sharing an audio soundtrack sample and some ambient noise for the Night of the Living Dead map. Make sure give this track a listen with headphones on. I think what fuels my direction when composing music for NOTLD is the sheer sense of beauty all around the player when in the environment. The trees sway in the night breeze while the moon illuminates the corn fields. Leaves are falling off the trees, and you get a sense that it’s a beautiful fall night. It’s deceptive how peaceful it can be at times when you stop to appreciate it, which is what I try to capture in the ambiance. Even while experiencing something as horrific and terrifying as zombies chasing you, any moment of rest or seclusion is to be capitalized upon, and that’s where I come in. 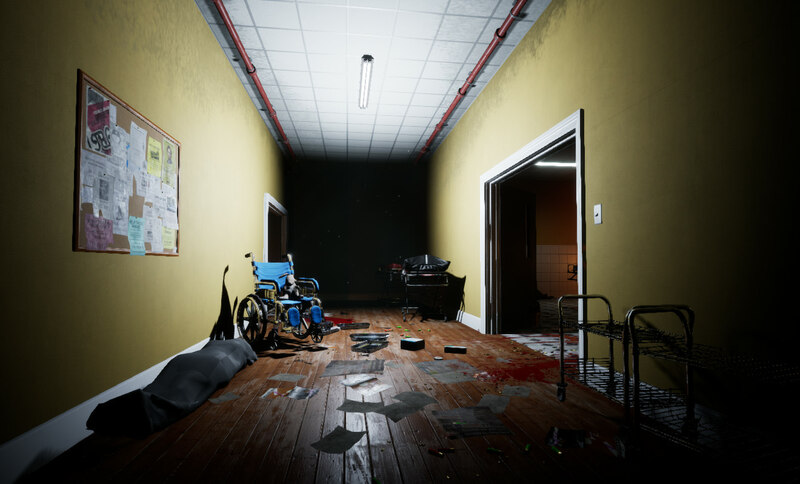 Along with Thoughts track for the Night of the Living Dead map, Erickanni, our newest member of the team has already made progress with some props. Hey! May as well give you a quick update/content as I just joined and all — my names Eric, and I’ve just joined the NMRIH2 dev team for prop/environment art! So far, I’m just going to be helping create and push environmental assets out, and later build some more focal props down the line. 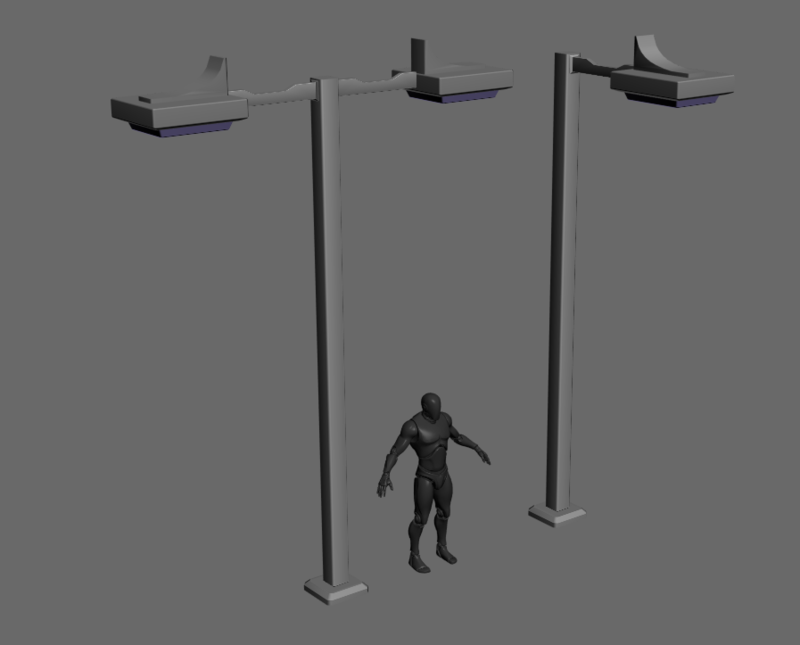 Started tackling Night of the Living Dead assets, mainly the gas station area – Modeling/UV’ing some vital environmental props such as gas pumps, light posts, various signage, and typical environmental clutter. Tom with a summary of developing our dynamic music system (DMS). Recently I have been developing fundamental systems to house the Dynamic Music System (DMS)in No More Room in Hell 2. 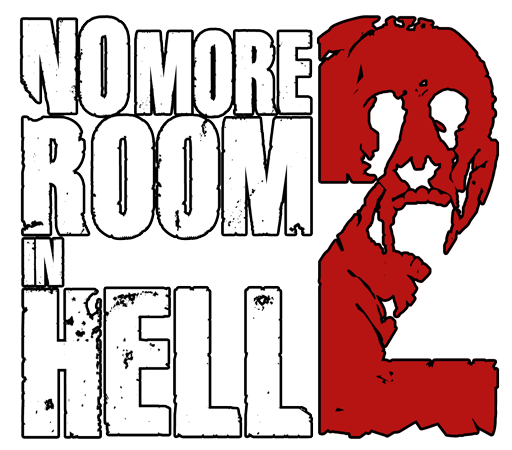 In modern titles, adaptive music is fairly common, but the original No More Room in Hell was one of the earliest games/mods to take advantage of combining game states and music, dynamically. NMRIH2’s adaptive music system improves on the original game’s music system in many ways; using a very advanced audio engine (Wwise) we can mix music on-the-fly, applying seamless transitions between Low, Medium and High-intensity pieces of music without disrupting the flow of the soundtrack. The music in the original game was a big contributor to the feel of the game, so it has been very important to expand on this while maintaining the mood that it provides. One of the issues with the original DMS was that when the gameplay changed intensities, the music engine would select a new piece of music with the appropriate intensity at random, then play it from the start. This meant that when the gameplay intensity was changing frequently, the player would hear the start of the same piece of music over and over again, never reaching the end. Wwise has a feature called Random Entry Cues, which means we can place many cue points throughout a track. Wwise will randomly select a cue point when it returns to that track, meaning that over the course of an entire game you should hear an even distribution of each section within a piece of music. 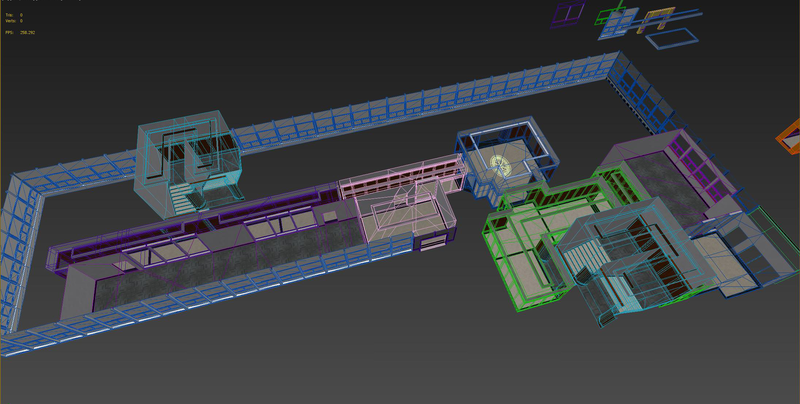 nay0r and an update on the Stockades mall map. Hey, guys nay0r here, just a quick update on what’s been happening recently. 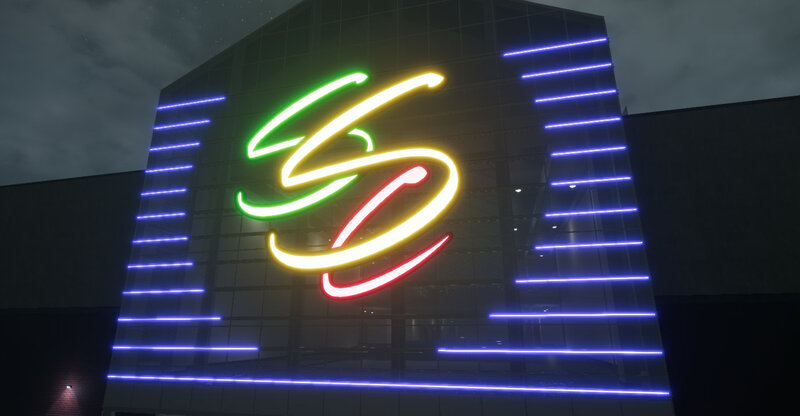 I’ve continued to work on our 3rd map the Stockade mall, which is going tremendously well. 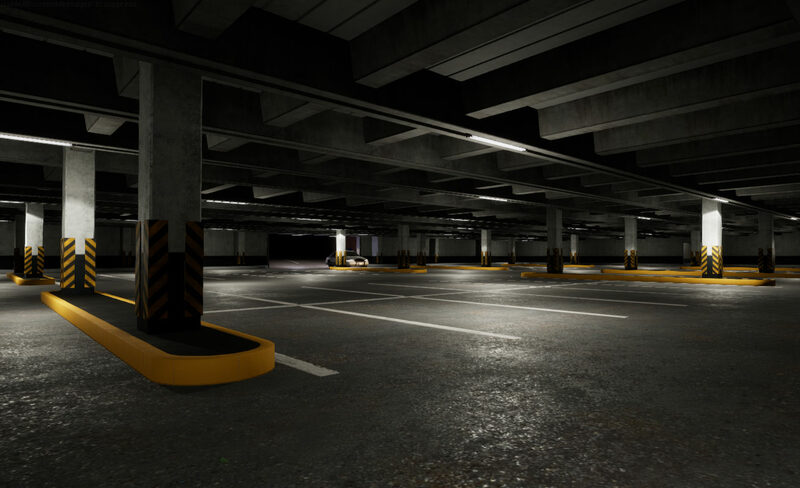 Since our last update, I have made tremendous progress on the layout, which includes an exterior/corridors/shops and an underground car park. Working on this map on my own I feel like progress has gone super well, over the coming weeks I plan to keep on adding size to the map’s layout, then shortly after it will set dressing and working on lighting. Cenelder showing off complex animations of zombies in “pursuit” mode. 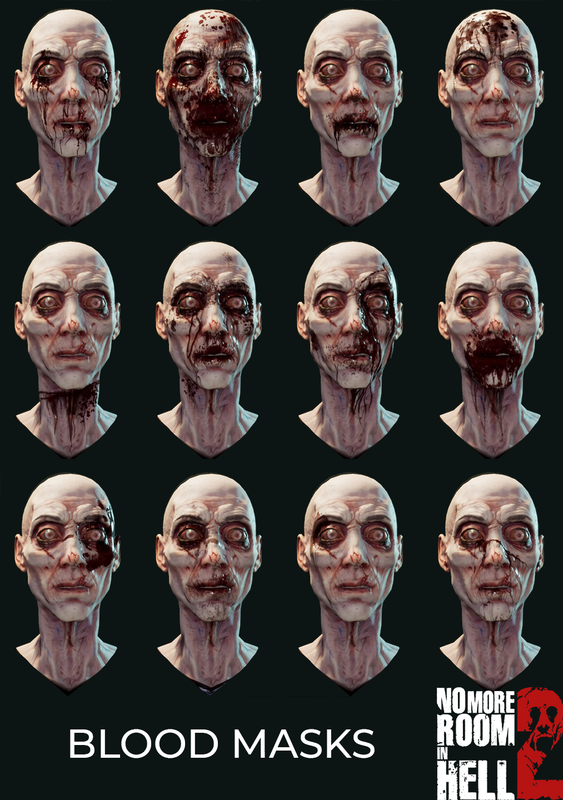 Lately, I’ve been trying to get a lot of the more complex animations for our zombies ready. Once a zombie spots you in NMRIH2, their arms will be raised in “pursuit” mode. 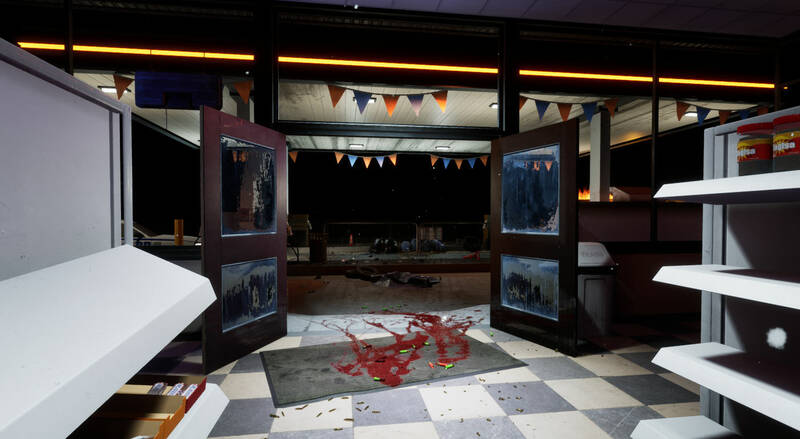 The animations will be a more natural way to identify if the zombie horde has spotted you! We’ve also made some attack animations to be blended into zombie movement, meaning that zombies can now walk AND attack which should make it a bit harder to abuse their AI. I’ve also been focusing on adding level-of-detail meshes for the zombies for performance so we can stress test the max number of zombies we can get on screen before a negative performance hit. And finally, Xenon with an update on our zombie AI. Xenon here again with a small update from the AI side of things. So the AI timeline has looked something like this in the last month and a bit. Work on first pass player zombification when infected and death by infection or other causes. Next was some minor code changes/reworks for internal use. Then finally we come to what I’ve been working on recently which is the second pass on the zombies. This has mostly been adding new functionality to characters such as a buff/debuff system and an attribute system to manage stats of the characters/items. Things that I’ve yet to get to, but is on the chopping block are improved zombie pathing and a second pass of the stimuli system for more consistency. Plus a second pass on our soldier AI, as well as a second pass on our gore system! A quick reminder again that the content shared is only a glimpse of what the game may look like in the future. There’s much more for us to build and learn as we go. Thanks for taking for joining us for this team update and we’re excited to continue to share more progress in the near future. Great update! The guitar track for NOTLD is sick! The levels look like they are still running in source engine btw but i don’t mind, i liked the old art style. I hope you can really improve the zombie ai and the netcode with the added freedom unreal provides you with, good luck! I love the work you guys are doing! Keep it up! I live by your devblog updates! Keep doing what you are doing, you are on the right path!!! Hi All im noob here. Good art! Thx! Love your stories! Esse jogo é marcado pela questão da grande dificuldade e por ser bem próximo da realidade. Espero que o NMRIH2 não mude isso. Os Zumbis poderiam ser mais estragados, como se fosse o passar dos anos desde NMRIH 1. The soundtrack of NOTLD is amazing. Sure the complete game will be awesome. Super excited for this game! I’ve always been a zombie fan, but no one has come close to the true zombie experience except for you guys! If you guys want some help in the video department let me know! I’d be more than glad to help edit/push marketing material and blast social media – no cost at all! I love what you guys are doing – keep it up!! Nice update. Hope that NMRIH2 expands upon the barricade system of the original. Seeing this gets me inspired to start mapping in advance. Will there be suicide animations as well? It always felt a bit strange when someone killed themselves and they just flopped over. Apologies if this has already been asked. Dude, these zombies are terrible, make it more realistic. It was better in the first game. Sign up for our newsletter and always get the latest updates, right in your inbox.